?Let's start with beans. Beans contain complex carbohydrates but very little of these are straight sugar. In fact typically < 1 g per 100g. So in my analysis of added sugar intake of beans, I haven't worried about subtracting the sugar content of the beans as it is soo little. So that leaves tomatoes, this one is a bit trickier. Fresh tomatoes have a sugar content of 2.5 g per 100g. And as per the WHO we shouldn't be concerned about sugar content from fresh fruit and vegetables. The tricky thing is that obviously the tomatoes in baked beans are generally concentrated in the form of sauce.... So I have not separated out the sugar intake from tomatoes from my analysis. 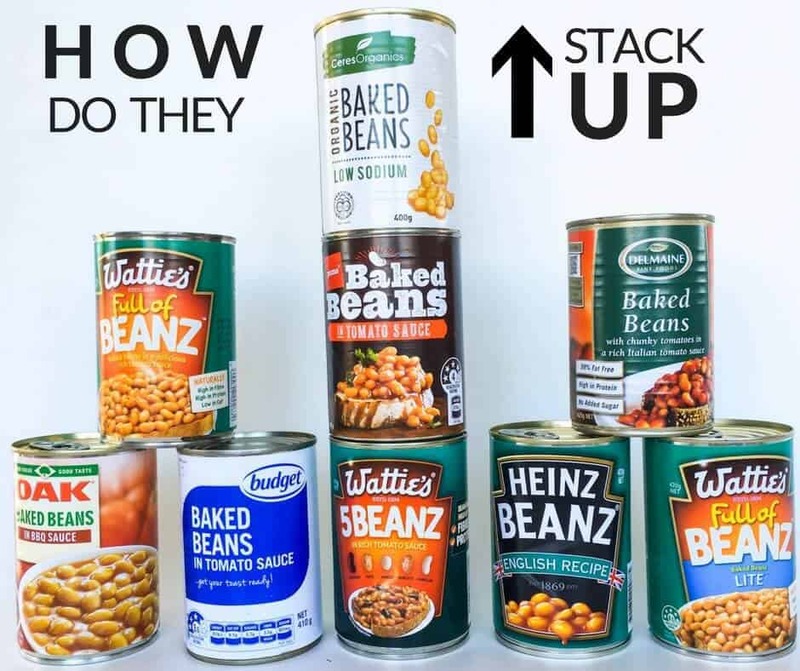 The purpose is really to show that some baked beans are higher than others, and that label reading is a good idea, but do keep in mind that some of the sugar will be from the tomatoes. 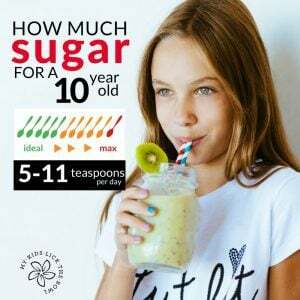 Things to know about added sugar, it doesn't matter if it is organic or raw, or brown or white, it all falls into the same category as far as the WHO organisation is concerned. Things to know about added fruit juice concentrates, from a WHO these are considered to be just the same as added cane sugar. It is a way companies can add sweetness to products and it is not considered any healthier than added cane sugar. So be a label detective. Although the label might say no added cane sugar, if it contains added ?fruit juice concentrates then it is just the same! As you can see above there is a big variation in the sugar content of commercial baked beans. In the 10 brands I looked at the range was from over 3.5 teaspoons of sugar per serve to just over 1.5 teaspoons per serve. So a 2 teaspoon difference. Which in reality is quite significant. 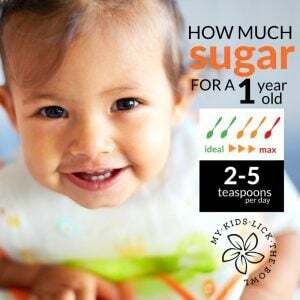 Especially when you consider the ideal daily sugar intake for a 2 year old is no more than 3 teaspoons per day. It is definitely worth being a label reader when it comes to baked beans. The Ceres brand is quite an expensive one, (but there are definitely some better choices on the list than possibly the old favourite Watties baked beans. Even some of the other baked beans options within the Watties family have significantly less sugar than their base product. When you are looking at the nutritional panel of baked beans I would suggest trying to find a brand with 5g/100g of sugar or less. The lower the better. My kids are big fans of the Delmaine Baked Beans and we have these on occasion. I have to confess I am one of those mums who often makes her own baked beans. (Which is I know is not going to be for everyone) ? 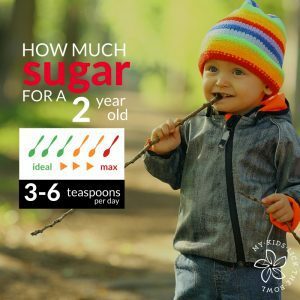 I mentioned above the ideal daily added sugar intake ?for a 2 year old is 3 teaspoons. To expand on this I have created some graphics which show the recommended daily intakes of sugar for kids y age. Red = Maximum, Kids should not be having more than 10% of their daily energy intake come from added sugar. 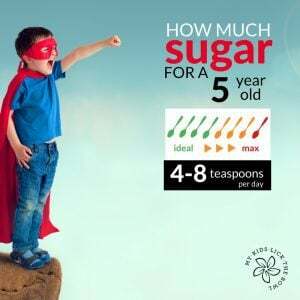 The gallery is made up of easy to understand graphics and images for parents, showing how much sugar everyday food items can contribute to children’s daily sugar intakes. If that sounds like something useful, then head over and check it out! check out the sugar gallery!